THE high number of older people suffering falls in winter is the subject of the next stage of the 'Stay Well' campaign launched by the Health and Social Care Board and Public Health Agency in October. 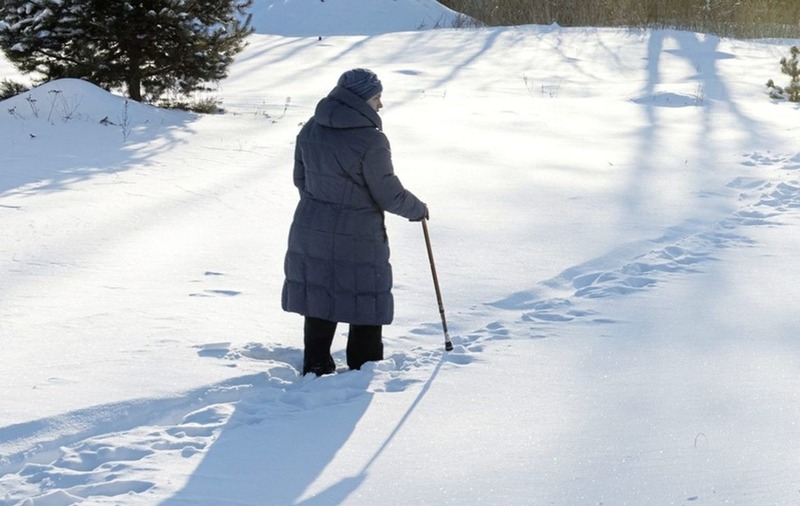 With Age UK highlighting falls as the prime reason older people are taken to hospital emergency departments, health professionals have issued some timely tips on how this vulnerable age group can 'stay well' in winter. The National Institute for Health and Care Excellence states that one in three people aged over-65 and around half of those aged 85-plus will fall at least once – and take twice as long as younger people to get back on their feet again. And, as part of this year's Stay Well This Winter initiative, care professionals have urged older people, and those who care for them, to be aware of how falls can happen and put in place some simple measures to prevent them. "A person over 80 who spends a week in hospital will experience the equivalent of 10 per cent loss of strength and, for some, this could mean the difference between dependence and independence," explained Dr Carolyn Harper, director of public health at the Public Health Agency. "It can mean being able to climb stairs, get in and out of bed or even stand up from the toilet. It also takes twice as long for older people who have suffered injury as a result of falling to regain their mobility and that's why we are recommending some preventative action, including regular exercise." Activities which can strengthen legs, improve balance and so can help prevent falls, have been highlighted in a new video devised by the Chartered Society of Physiotherapists. Other tips include having eye check-ups every year, ensuring the home environment is safe and not venturing out in hazardous weather conditions. Floors should be clutter-free and small rugs either removed or taped to the floor, while 'grab' bars can also be added in bathrooms and handrails and lights installed on staircases for extra security. Making sure homes have lots of light is another simple measure which can prevent falls, according to programme manager of adult services at the Health and Social Care Board, Joyce McKee. "We also know that an older person who loses mobility can lose confidence, become depressed, more socially isolated and their health and wellbeing can rapidly decline," she added. "The 'Stay Well' campaign encourages people, especially those at most risk of a preventable hospital admission, to take actions that will help them stay well during winter. "This includes reducing falls in older people, getting a flu vaccination, keeping homes warm and getting advice from a pharmacist at the first sign of illness. 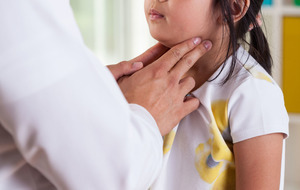 It also incorporates key advice around common winter illnesses and the range of services available to help people make the most appropriate choices for their healthcare needs." For older people who may be concerned or worried about falling, the advice is to 'speak up' and tell a doctor if feeling unsteady and discuss with any possible side effects from medication, such as dizziness or feeling sleepy. "Older people can can also check with their doctor or pharmacist if taking vitamin D supplements for improved bone, muscle and nerve health is appropriate for them," added Ms McKee. "Most falls happen at home, so taking some precautions really can help keep you safe." Assistant director of public health nursing, Eleanor Ross, said the Stay Well campaign was aimed at the "huge number" of frail, elderly people living on their own. "We want people to be able to go on living in their own home as long as possible, so being aware of risk factors for falls is extremely important," she said. 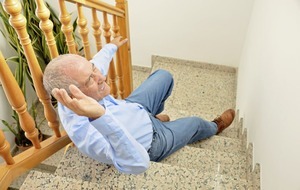 "Older people who are generally frail or who have weak muscle conditions, memory problems, poor eyesight, deafness, are all at higher risk of falling. "We have been working closely with the Acute Care at Home Teams who respond to falls and will organise a wraparound service of support until an older person is on their feet again, but, obviously if there is a fracture, it will mean a stay in hospital. "You can also ask your local council for a free home hazard assessment by a trained home safety officer who will check over your house and offer advice." 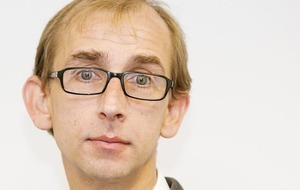 'Stay Well' messages have been endorsed by Age NI, whose chief executive, Linda Robinson, described falling as one of the biggest threats to older people's safety. "Falls are a serious threat to older people's health, wellbeing and independence," she said. "However, despite having serious consequences, falls in later life are often dismissed as an inevitable part of growing older, when the reality is they can be prevented." Launched in October, the campaign focussed on the uptake of the flu vaccination before looking at promotion of self-care messages for older people. The final phase will highlight appropriate use of health services, taking a particular look on GP out-of-hours services. ::Further information about Stay Well can be found at www.nidirect.gov.uk/campaigns/stay-well.